I am slightly embarrassed at my lack of blogging these past few weeks, but I do have an explanation. I led a group of 18 students and 20 adults on a two week tour of London, Paris, Florence, Rome, Pompeii, Capri, and Venice from March 15-28. Twenty-four hours after my return, I caught some sort of respiratory bug that lasted far too long and left me with a nagging cough and little energy. And then of course there was the inevitable let down after the anticipation and then realization of a major life event. But rather than mope and have a pity party, I decided to journal instead. In fact, I set aside the month of April to focus on writing – not a specific project, but rather write whatever came to mind, a stream of consciousness if you will. To date, I have written just shy of 85,000 words! While I did not harbor any expectations from this endeavor, in the end, I believe I learned more about myself, my relationship with God, and my purpose for this phase of life. Blogging is definitely a part of my future. I thought I might ease back into the routine with a Sunday Salon summary of the four books I read over the past few weeks. The Storied Life of A.J. 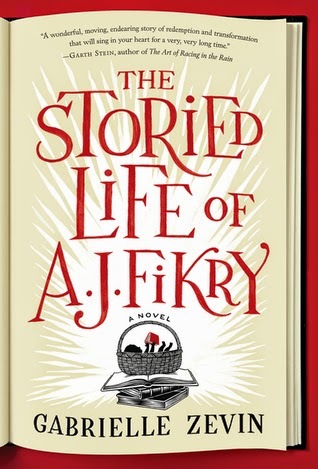 Fikry by Gabrielle Zevin, was a clever story ideally suited to this bibliophile who dreams of owning a bookstore on a remote island. It took me a while to relate to the protagonist, a rather crotchety widower who drinks too much and seems to care little for others. But it didn’t take long for me to witness his compassionate side. There is a little bit of everything in this short novel: mystery, romance, and a touch of sadness. While I found the pacing a bit rushed in some places, I really enjoyed how the author developed the characters and pulled together all loose ends by the final scene. One result of this month’s journaling is the realization (validation) that scrapbooking is a large part of my life. I am passionate about the idea of Milestone Memoirs: the marriage of photographs with personal essays to present a complete life story. In fact, I am developing a personal challenge for the month of May that I will share later. To that end, I checked out a couple of books from the local library that address incorporating ALL of life in our scrapbooks, not just special occasions. One book, Scrapbooking Your Faith (by Courtney Walsh) was a good reminder to document our values and beliefs as a legacy for future generations. I have recently dabbled with Bible Journaling (#inspiredfaith on instagram), a method that incorporates artistic expression with reading scripture, and this book seemed to reiterate the same concept. 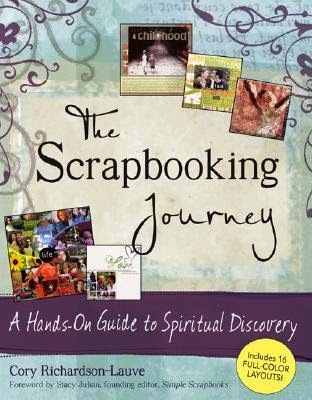 Another book I thoroughly enjoyed was The Scrapbooking Journey by Cory Richardson-Lauve. While she delves more into artistic expression and offers a variety of page layout ideas, I was most interested in the themes she develops for her pages. The chapter titles say it all: Resonance – Equilibrium – Movement – Awareness – Expression – Awakening – Celebration – Connection. I will definitely use some of her ideas in my future scrapbooking endeavors. I began my April journaling experiment by re-reading (for the third time) Brene Brown’s The Gifts of Imperfection. While I already reviewed the book here, I am considering doing an in-depth series of posts at a later date. This book completely resonates with me. 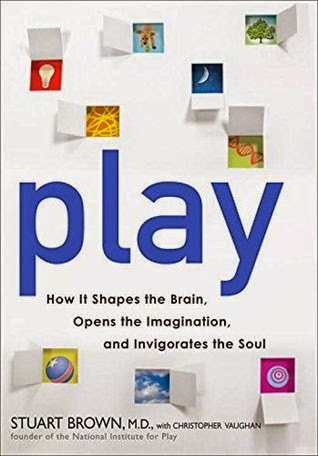 In this re-read, however, I heeded her advice and picked up the book, Play: How it Shapes the Brain, Opens the Imagination, and Invigorates the Soul (by Dr. Stuart L Brown). The book is a bit too entrenched in scientific data for me to completely understand, but I did skim most chapters and definitely took the message to heart: Play is ESSENTIAL to our daily lives – not optional. In the 7th chapter of Brene Brown’s book, she advises that we learn to cultivate Play and let go of the erroneous equation that Productivity = Self-Worth. In other words, stop focusing on the end product and instead concentrate on the process. Since reading these two books, I am learning to play – to have fun – to enjoy the process and let God worry about outcome. Better late than never… right? Glad to have you back! Sounds like an amazing trip! I'm reading Reality Is Broken: Why Games Make us Better and How they Can Change the World by Jane McGonigal. She also quotes a lot of research about play and happiness, but not so heavy on the data. I'm finding it both readable and motivational. I want to hear more about your trip – it sounds wonderful! I think your reasons for being away are more than valid. 🙂 I've had a cold for the last week so I understand that…and it sounds like you've gotten some good writing done too recently. I'm happy you are back and feel a new commitment to blogging. My word for the year is "play." I need to remember that. And now I'm off to see if I can find a copy of The Gifts of Imperfection. Thank you! Joy – I will check out that book on Play this week. Thank you for the recommendation! Bryan – thanks for understanding the silence but I think I am ready to start writing more on the blog as well as in the journal. I have The Gift of Imperfection on my Kindle and need to read it. I've meant to for a long time. Like Kathy, I'd love to hear about your trip and I'd love to hear any thoughts you have about the Imperfection book and glad you are feeling better. Wow your Europe trip sounds fabulous. That's a lot of people to guide around. Kudos to your efforts.